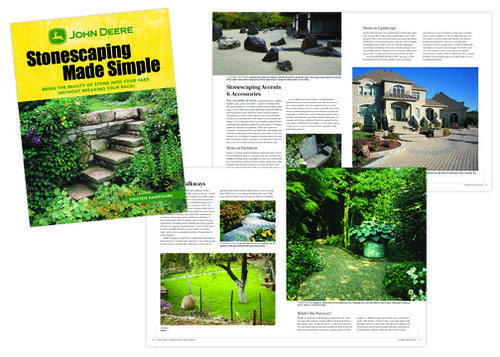 this john deere title from creative publishing international showcases all types of projects for landscaping with stone, excellent for homeowners and do-it-yourself types. i must admit, after looking at my own brick patio and how poorly it had been set, i used one of the step-by-step patio layouts, framed it out, filled it in, and really improved both the look and stability of it. great ideas and projects to build on of ways to improve your property and how to do them yourself.